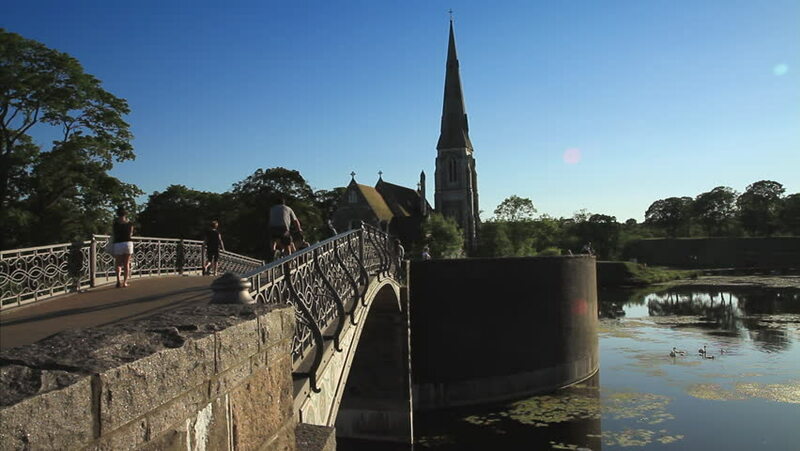 Shot of a bridge leading to a church near the Amalienborg Palace complex. On the RHS a family of swans can be seen. sd00:11The Holy Trinity Parish Church is seen on the banks of the River Avon, while ducks swim in the gentle river current. hd00:11St Matthew's Church in Perth on the River Tay. hd00:24Notre Dame de Paris slow zoom. Paris, France. May 2011.
hd00:20Porec city, Croatian coastline. Porec is one of the most popular touristic destinations in Croatia.